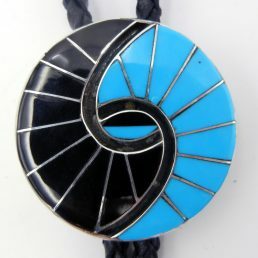 Palms Trading Company has an extensive collection of Native American Indian jewelry and other art. 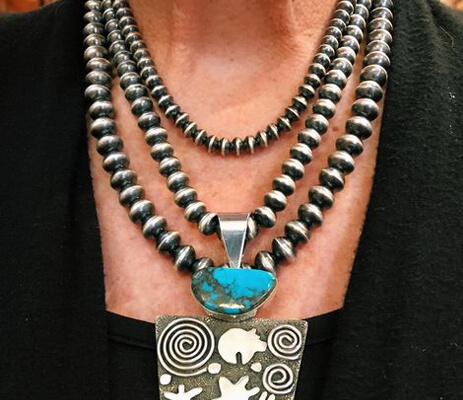 While our online selection of Southwestern silver and turquoise jewelry currently only consists of pieces made by contemporary artists, our in-store selection includes antique pieces. 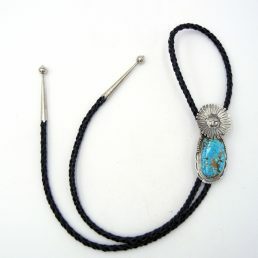 Regardless of age, each piece in our collection is authentic Native American Indian jewelry. 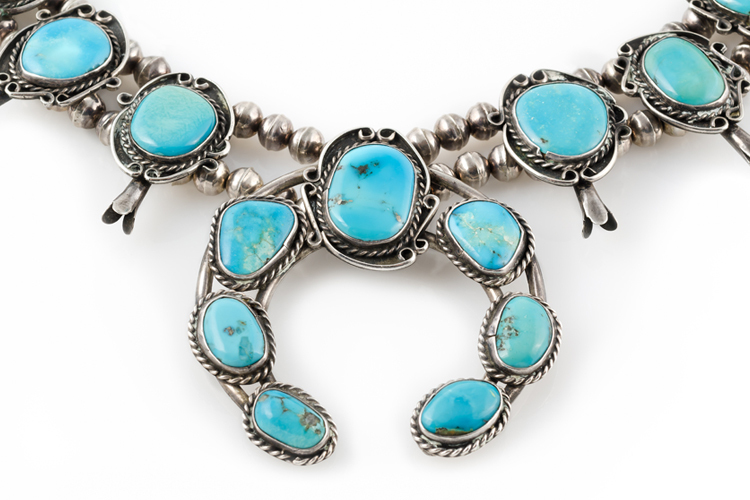 Most pieces in our Native American jewelry collection are bought directly from the artist (or a close relative) who created it. 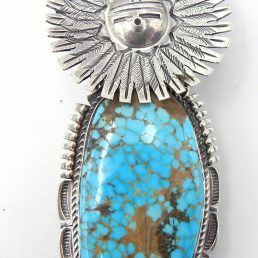 We have developed personal relationships with many of the artists and often know the history behind a particular piece, and because we have decades of experience buying and selling pieces from Navajo, Hopi, Santo Domingo and Zuni Pueblo artists, our buyers have developed the expertise to evaluate the authenticity of antique Native American Indian jewelry, too. Price. 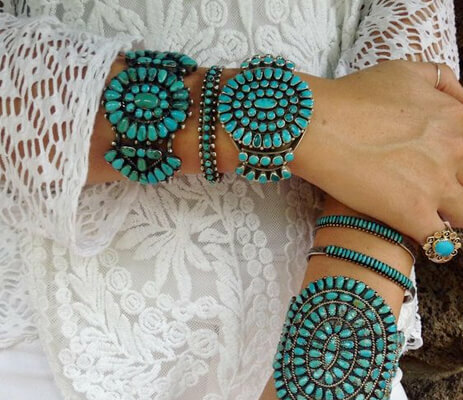 Because we buy directly from the artist, Palms Trading Company eliminates a middleman markup, and we pass the savings on to our customers. 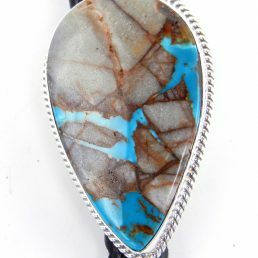 Our jewelry is priced below many suggested retail prices. Quality. 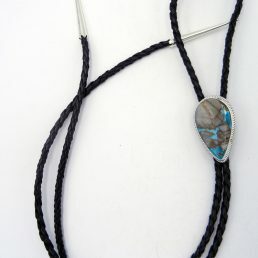 We possess an unmatched expertise on Native American Indian art. 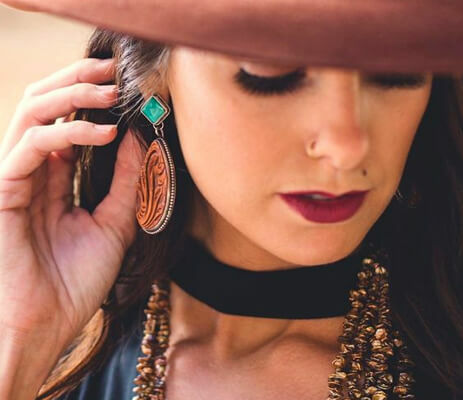 We are highly selective about what we carry—only the finest handmade pieces. 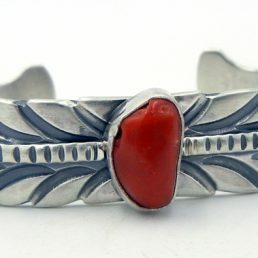 You may find a piece of authentic Native American jewelry that strikes your fancy at another store, however, and there are some simple tests to help you determine if a piece of contemporary or antique Native American Indian jewelry is authentic or not. First: price may be your guide. 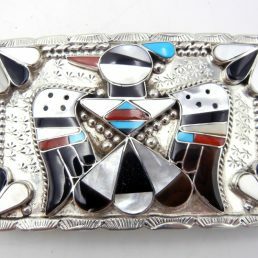 A higher price tag is not a guarantee that a Western-style belt buckle is handmade by a Native American silversmith or that a turquoise ring has a high-quality stone, for instance. 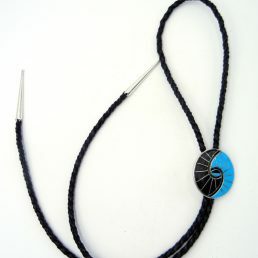 However, Palms Trading Company offers fair prices; anything significantly lower may be a red-flag. 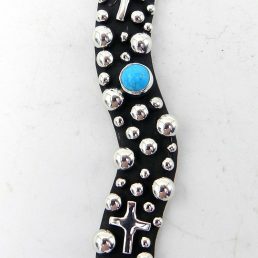 Second: a magnet will help you identify plated jewelry. 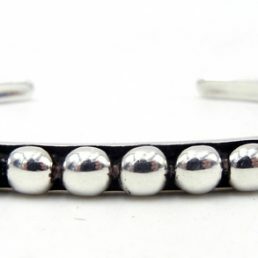 Sterling silver and solid gemstones are not magnetic, but nickel, a common metal plated by a (semi) precious overlay is. 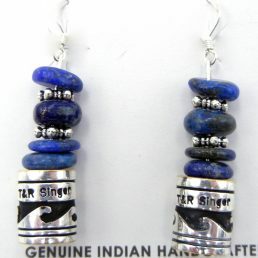 If a piece is attracted to a magnet, it is not sterling silver Native American Indian jewelry. 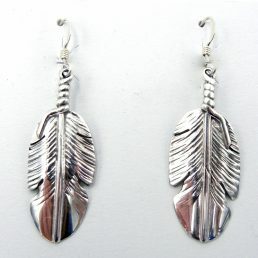 See our video Is your Jewelry true sterling silver or silver plated? for a demonstration. 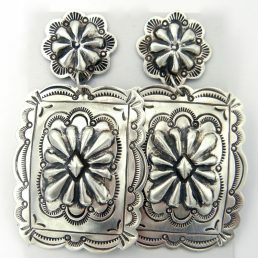 Each piece of Southwestern silver jewelry on our website and in our store is unique—a one-of-a-kind creation, just like you! 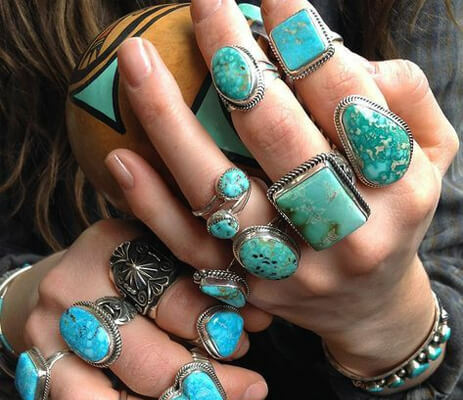 If you find a piece that catches your eye, please check out our sizing guidelines for rings, bracelets and necklaces to make sure the piece literally fits you. 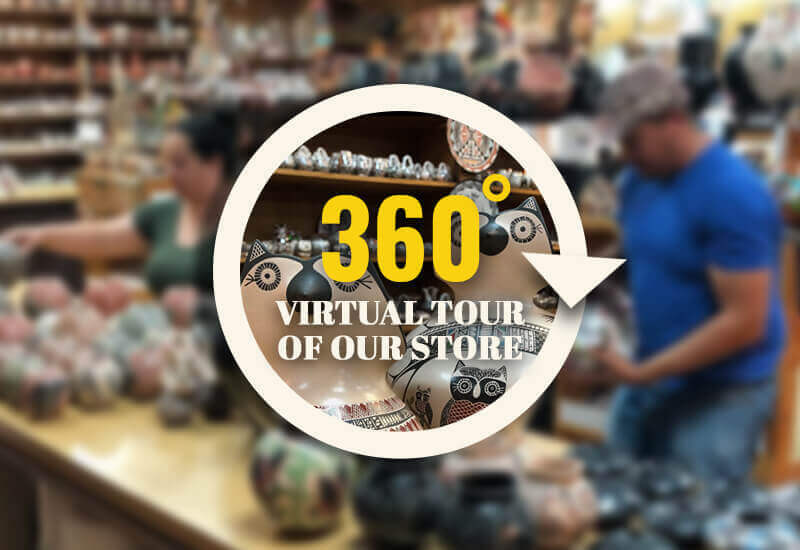 If you don’t find something that fits your style, contact us to let our personal shopper help you find something in our larger in-store collection.